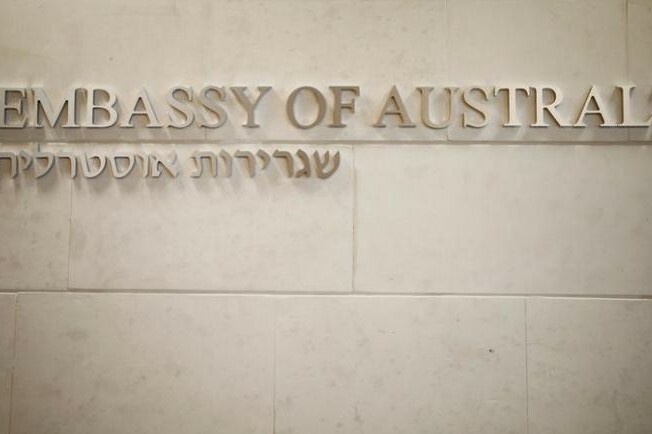 Will Australia move its Israeli embassy to Jerusalem ? Australia's government met on Tuesday to discuss whether to move its embassy in Israel from Tel Aviv to Jerusalem, two sources familiar with the matter said, a decision that would break with decades of policy and risk angering Asian neighbours. "Cabinet met today and the issue of moving the Israeli embassy was discussed. The decision is still pending," said one of the sources who declined to be identified as he is not authorised to speak to the media. Prime Minster Scott Morrison in October said he was "open" to moving the embassy to Jerusalem, following the lead of U.S. President Donald Trump. The United States opened a new embassy in Jerusalem in May, a move that delighted Israel, infuriated Palestinians and upset the wider Arab world and Western allies. The Australian newspaper reported several senior cabinet members were leaning towards recognising Jerusalem as Israel's capital while stopping short of moving the embassy. Jerusalem's status is a major obstacle to a peace deal between Israel and the Palestinians. Israel regards all of the city, including the eastern sector that it annexed after a 1967 war, as its capital. The Australian newspaper said a decision could be announced this week. By recognising Jerusalem as Israel's capital, Morrison would be hoping to keep his conservative backbench happy but it would likely anger neighbours, including Indonesia, the world's biggest Muslim-majority country. The Palestinian question is sensitive in Indonesia and it has refused to sign a free trade agreement with Australia until it confirms its plans towards Israel. Israel’s government regards Jerusalem as the eternal and indivisible capital of the country. Palestinians feel equally strongly, saying that East Jerusalem must be the capital of a future Palestinian state.